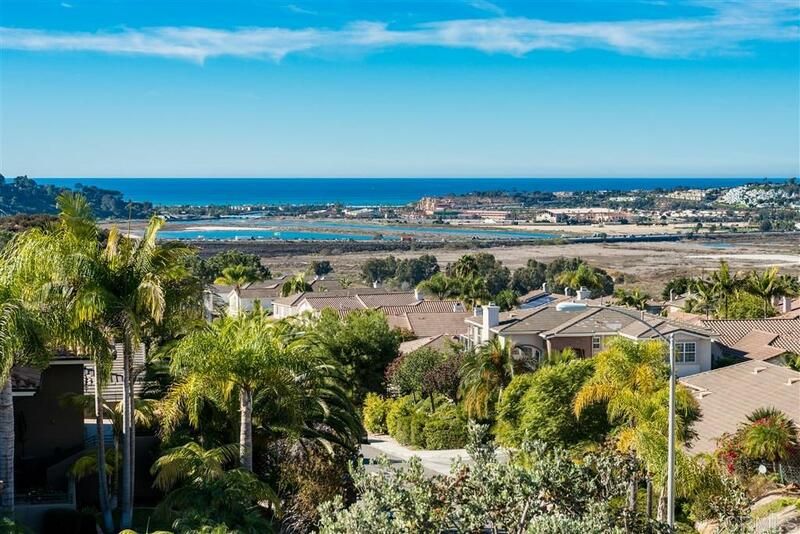 Perched on an lot elevated providing Spectacular Ocean/Sunset Views! Custom built w/dramatic architectural detail featuring high ceilings, lots of light, open floor plan perfect for entertaining, two bedroom/offices on main floor, lavish master suite w/ cozy fireplace, sitting room, huge closet & large balcony to enjoy the panoramic views! Outside provides lush landscaping, wonderful privacy, sweeping ocean views, negative edge pool/spa & fire pit. Amazing location, No HOA, top rated schools & more! !, This is a unique opportunity, it is very rare that you find a custom home with no HOA and low mello-roos fees with the kind of commanding views and perfect West side Carmel Valley location close to freeways, shopping, amazing restaurants, Del Mar beaches and so much more! !